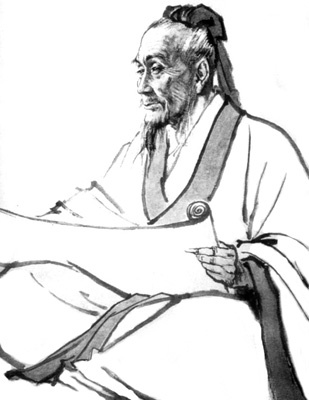 Zhang Zhongjing (A.D. 150-219), known as the sage of medicine, was a famous medical expert during the late Eastern Han Dynasty (A.D. 25-220). Even in his early years, Zhang was already established and very well-known as a talented doctor, yet he was still keen to find out new things, visiting famous doctors everywhere to learn from them. More than a year passed and one day Zhang’s brother suddenly felt pain on his back when doing business in Xiangyang, a city in the northwest of Hubei Province. He then took the medicine according to his brother’s prescription. “It was my brother,” Zhang’s brother replied. “But he is far away in Nanyang. Doctor, please help me!” the brother said. So Immortal Wang wrote him a prescription. Zhang’s brother took the medicine and put on a few herbal plasters. Soon the skin ulcer was gone. Then he wrote to his brother about it. Zhang was very pleased when he received the letter. He packed up immediately, took some money for the trip, and left for Xiangyang on foot. Immortal Wang heard this and came out. He saw the young man was sharp-witted and clean, and said, “Okay! I need an extra pair of hands, so you will be my medicine-making apprentice.” The young man was of course Zhang Zhongjing. Zhang was very intelligent and eager to learn. He was familiar with various herbs and was very skilled at making them into ready-to-use medicines. Soon, Immortal Wang promoted him to a pharmacist at the clinic. He was in charge of medicines and also saw patients with common ailments. Everybody praised him as doctor number two in the pharmacy. Wang noticed that Zhang really had some capabilities, so he let him be his assistant. When Wang felt a patient’s pulse to examine illnesses, Zhang wrote down the prescription. When Wang encountered complicated symptoms, he would first feel the pulse and then let Zhang do the same in order for him to learn where the illnesses were and how to cure them. Zhang retained these medical principles deep in his heart and wrote them down in his notebook. A year passed in no time at all. Wang started to panic and didn’t even know what to do. Zhang then said, “Please allow me to go there for you as your apprentice!” So he got on the donkey and went right to the patient’s home. Upon arrival, Zhang saw the patient was in so much pain that he was rolling around on the ground. Zhang took out his needle and asked the patient to take off his clothes. He identified the appropriate acupuncture point and stuck the needle right into the bug’s head. The bug fought with all its might when its head was pierced. The patient cried out loudly and lost consciousness. His father was really shocked. Yet Zhang smiled and said, “Don’t worry, the bug is dead.” As soon as he said these words, the patient woke up. Zhang then wrote a prescription for a laxative. After the patient took the prescribed medicine, a huge bug came, and the patient recovered fully. Wang responded: “My goodness! I’m not worthy of being your teacher!” He treated Zhang to a good banquet. Later they became good friends. Even after Zhang returned to Nanyang, the two remained in touch for the rest of their lives. Translation by Alex Wu and Jenny Yang.